We had to push the two Disney parks to the end of the trip since other parks and attractions were affected by weather, and Friday & Saturday called for rain, which I knew wouldn't affect Disney nearly as much. 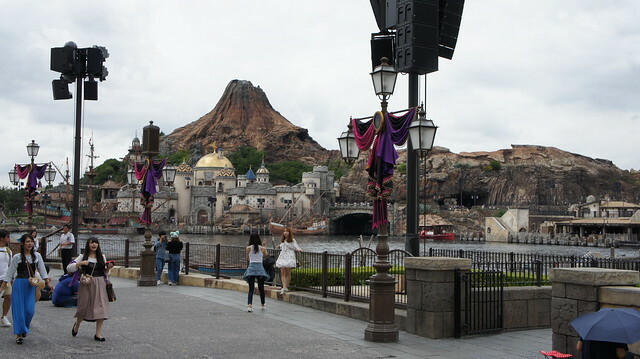 On Friday morning, we slept a little later than planned, but eventually made our way to the Tokyo Disney Resort by around 11am to spend the day at Tokyo Disneysea. I was afraid since we'd let the morning get away from us, and it was a Friday, that wait times would be unbearable, but we actually lucked out for the day. After getting tickets and getting in to the park, we headed over to our first ride, Aquatopia. This ride uses RFID pucks to guide water based vehicles around in a very shallow pool (6 inches deep or less), spinning, stopping, and swinging around rocks, water falls, and whirlpools. I anticipated an hours long wait, but it was only 25 minutes, so we got in line. Aquatopia was really a lot of fun! After our ride, we noticed that the park's newest attraction, a Nemo themed simulator, had a fairly long line, so we got a fast pass for later. Then we headed into the inner part of Mt. Prometheus. 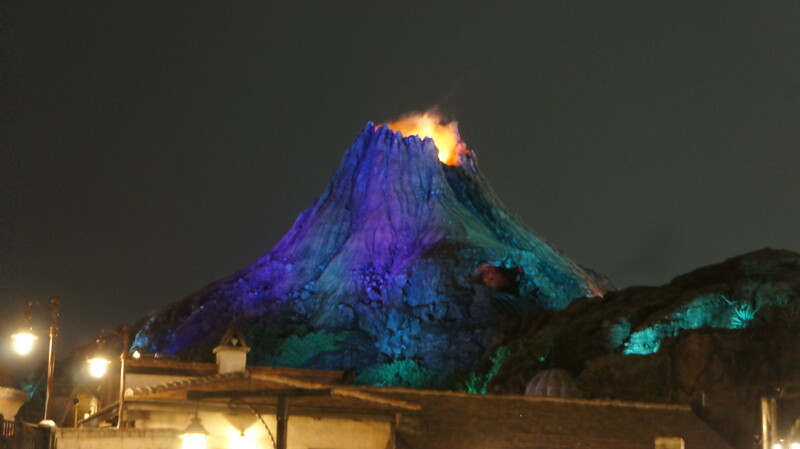 This faux volcano houses several attractions, restaurants, shops, and serves as the centerpiece of the park (the 'castle' if you will). The whole park is amazingly themed, and one you enter the crater lake in the middle of the mountain structure, you have plenty of entertainment options. We eventually made it into a cave and got in line for Journey to the Center of the Earth, the park's signature attraction in the volcano. It only had an hour or so wait, which wasn't bad, and the queue was immensely themed. Journey to the Center of the Earth-You basically follow the notes left by the explorers in the Jules Verne themed attraction, seeing the giant crystal caves, giant mushroom caverns, waterfalls, odd creatures, and eventually a gigantic animatronic subterranean monster, before catapulting up, down, and around the inside and outside of the mountain. While not an extreme thrill ride, it is a lot of fun, and of the three rides based on this technology, this is thus far my favorite. After that we noticed that 20,000 Leagues Under the Sea had a 25 minute wait, so we went to that next. This dark ride is basically an inverted monorail that goes thru a lot of underwater scenes that make you feel as though you've dived underwater with effects in the 'ships' windows to bubble and make it look like you're diving down in the ocean. You come across some different creatures, including mer-people. We had lunch at Volcania, the restaurant in the volcano. Very good food. Then we walked around the main lagoon, where a Villains Show was about to begin. Isaac went in search of a restroom. There were at least 3-4000 people all sitting so quietly around the lagoon waiting for the show to begin. It was so quiet that it was almost eerie. When the show began, the show barges just happened to emerge from underneath the bridge I was standing on. After a few moments of the show, we decided to press on. At this point, the mist was turning in to rain. 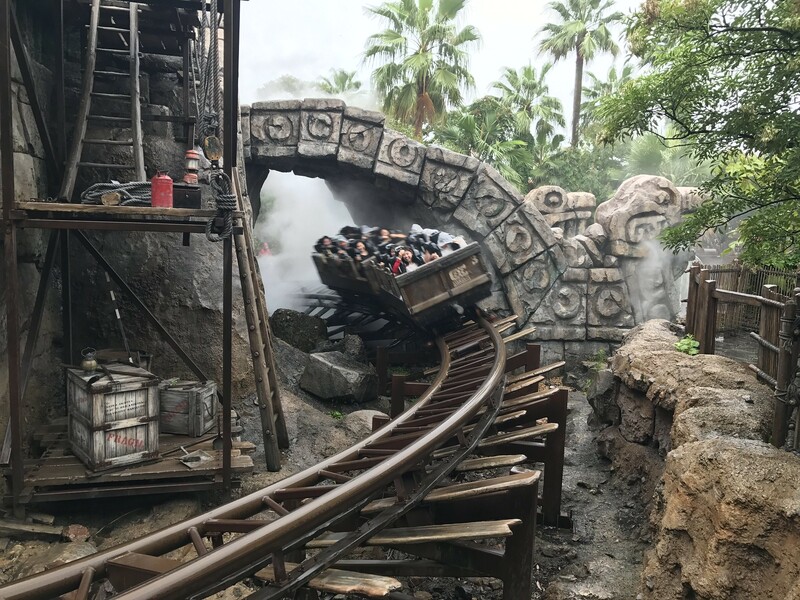 I was under the impression that the main adult coaster at this park was themed to Indiana Jones, so we went in search of that, finding in the Mayan Pyramid. The wait was over an hour, but there was a single rider line. This would prove to be another win for us. You get to go thru the entire queue (which, again, was amazing), as the single rider & fast pass queue are the same till nearly the end, then, where they scan fast pass tickets, single riders diverge into another line that goes down some stairs and directly into the station. Our wait was less than the time it took to travers the queue! 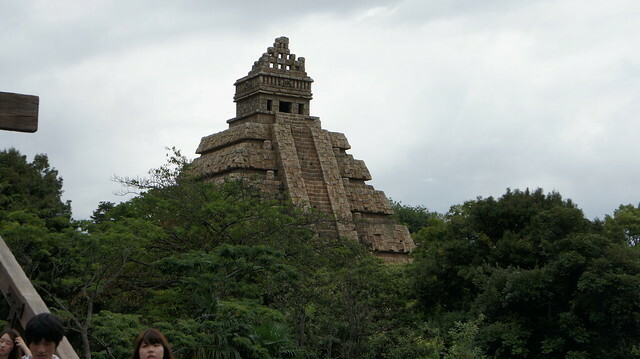 Then I realized that this was like the Indiana Jones ride at Disneyland (the coaster is in Paris), which was a nice surprise, especially since this one is slightly different. Indiana Jones and the Temple of the Crystal Skull-The one in California is one of my favorite rides, but this one I thought was even better. You're still in a jeep, and the physical ride may not be different, but the theming was, as was the storyline (In Japanese!). I could follow bits and pieces of the story, and that was enough. There were several times you're attacked by beams coming out of the eye of the crystal skull, there was a cool vortex effect, and the ride was really well done. I enjoyed it, and since the wait was so short, we decided to come back later and try again. It was pouring outside, and neither of us thought to bring our umbrellas. Once the rain subsided just a bit, we looked at the wait time for Raging Spirits, the coaster at this park, saw that it was a 10 minute wait (if that), and decided to get in line. The queue shows the ride off, and again, the theming is just impeccable. Raging Spirits-I'd hear some very bad things regarding the comfort level of this ride. I will say that the OTSRs weren't great, and came down tighter during the ride, but the ride was not rough in any way. It was highly themed, going up a lift, dropping, hitting the loop, then going thru several more drops and turns. This is, if I recall correctly, a modified Pinfari Loop layout (the Paris version copies the layout moreso). I enjoyed it overall. The rain caused the fog pumped out onto the ride to linger, which was great. The rain had pretty much set in for a while at this point. We headed over to see the Arabian Coast section and went by the Little Mermaid section, though we never made it inside. We did, however, ride the kiddie coaster, Flounder's Flying Fish Coaster, a Togo in really good condition, if nothing to write home about. So by this point we had most of the major attractions as well as both roller coasters done. The next signature ride that we didn't have a fast pass for was Tower of Terror, so we went there next. This one is different as it was the first not to be themed to The Twilight Zone. Tower of Terror-Situated in the American Waterfront section of the park, the Hotel Hightower has it's own backstory of an eccentric millionaire and the stuff he found on his adventures. Theres a statue that causes the problems here. The bare bones of the ride are the same as the (now rethemed) former California tower, just differently themed. The ride itself is, as all of them have been, really great. Way too much airtime (if thats even a thing), views of the park, and a highly themed queue. Overall wait time was 90 minutes. I guess it could have been worse. We walked around for a bit to find an umbrella for Isaac and poncho for me. While in line for Tower of Terror, a very nice lady gave us 'My First Visit' stickers, which, when seen by other cast members, always got us some extra attention, which was nice. I eventually put mine on my poncho. Soon it was time for our fast passes on Nemo & Friends Searider, a newly re-themed simulator ride. The preshow was cute with the shrinking sub display, and the overall simulator was well done. I'm glad we did it, even happier we didn't wait for it. Aquatopia had basically no wait, so we got in line for the other side, which was a lot of fun yet again. We were both hungry. We looked at options around the American Waterfront area, eventually getting in line for the Sailing Day buffet, which ended up being a good 45 minute line. They give you a full 90 minutes to eat though, haha. We barely took up 30 minutes. I will say, though, that the food was really good, and worth the price for an all you can eat at a Disney park. We walked around the back of the park again and took advantage of Indy's single rider line yet again while back there. This time, though, we walked thru the Lost River Delta section. 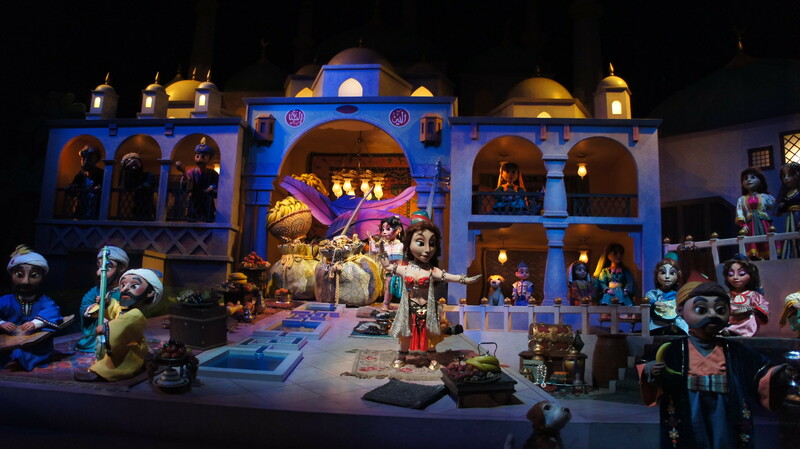 From Indy we headed over to the Arabian Coast section and rode the carousel's upper deck. Then we rode the park's answer to 'its a small world', Sinbad's Storybook Voyage, a much superior version of the ride. I loved the song, it was really well done, and the ride itself was very cute. At that point we were pretty much done and the park was closing, so we made our way up to the front gate. Tokyo Disneysea and the Tokyo Disney Resort have a real metro monorail (that you have to pay to ride), so we got our tickets, not knowing we could have used our Pasimo cards to get on) and hopped around to the station to get our next train back to Yokohama. 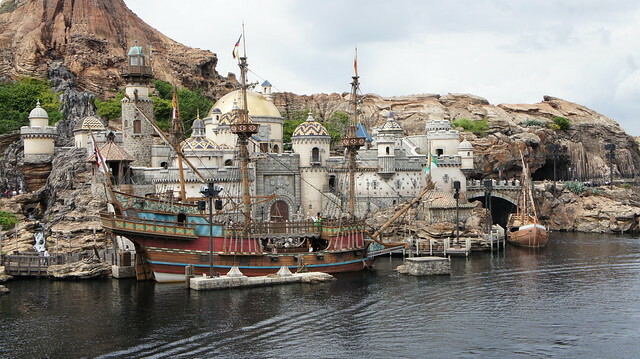 Disneysea is everything I'd heard and more. it was really amazing, intricately detailed, and I'd love to spend a full, non-rainy day there some time in the future. Pretty cool. 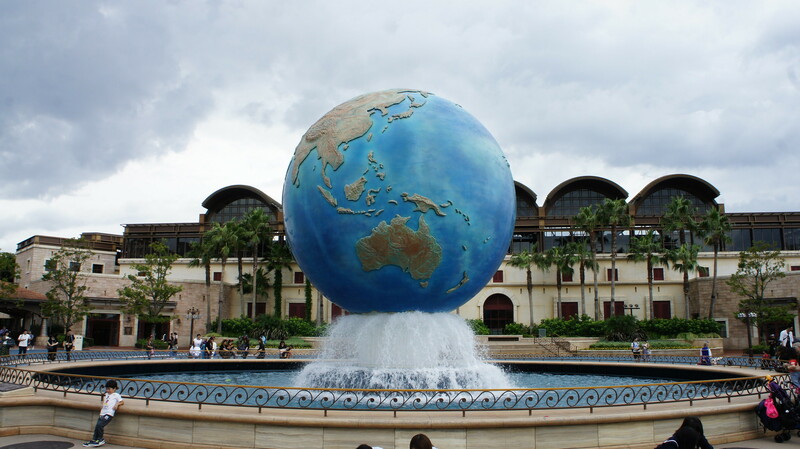 This is high on my list of international parks I would like to go to. Just got back from a trip to Japan and Hong Kong and enjoyed this park VERY much. Stay tuned for a trip report, although probably not as detailed. Thanks!